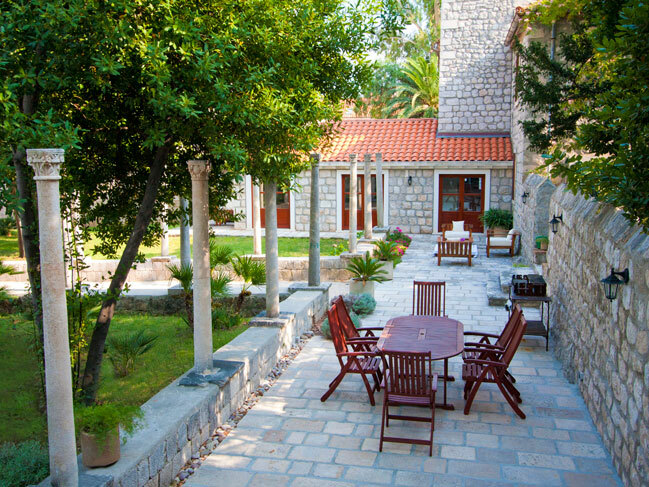 Luxury summer residence of Dubrovnik nobility This luxury villa was during the Renaissance summer residence of Dubrovnik nobility and its beautiful garden is preserved to the present day in its original condition being a living proof of Dubrovnik landscape architecture during the Renaissance times with its high stone walls and original stone columns. 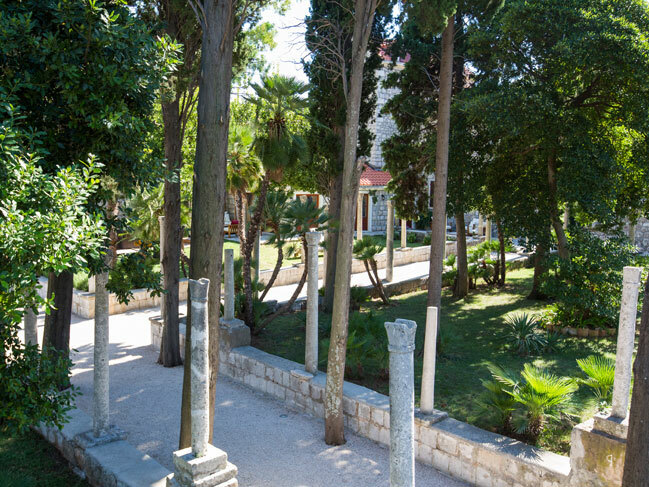 This marvelous villa was during the Renaissance, one of many summer residences of Dubrovnik nobility, which served as the centers of social life from the 14th to 16th centuries. 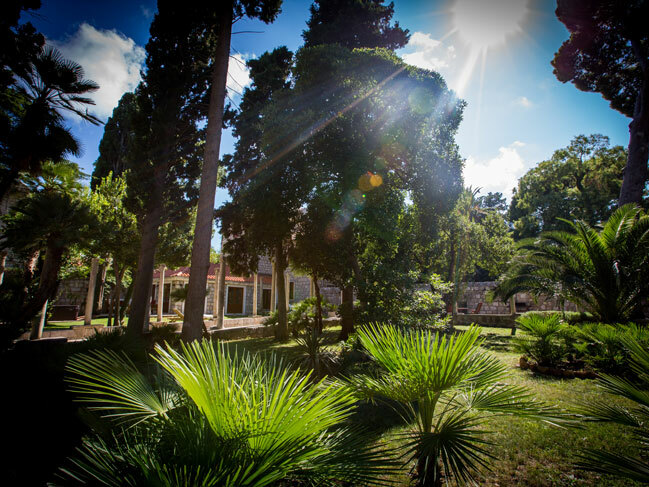 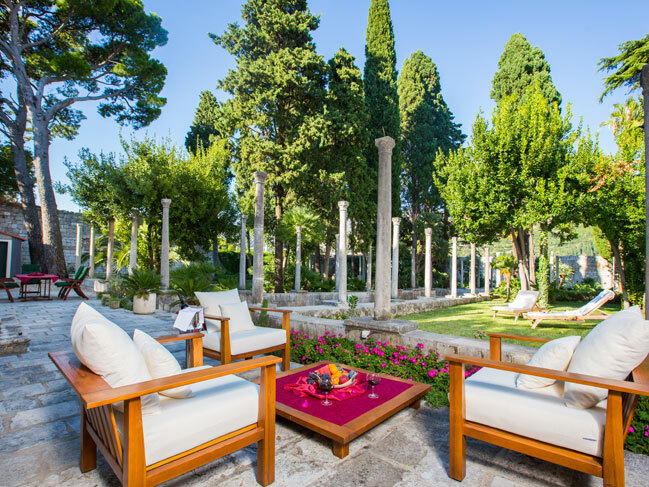 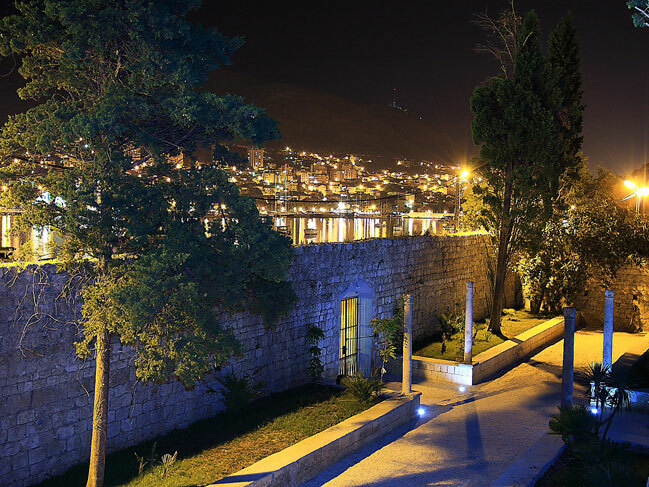 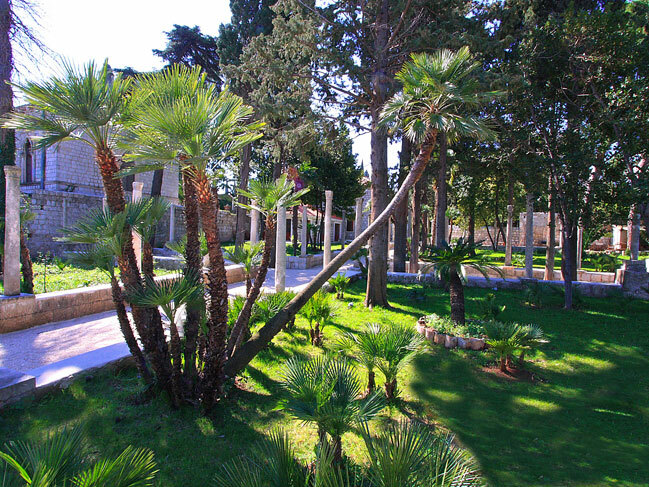 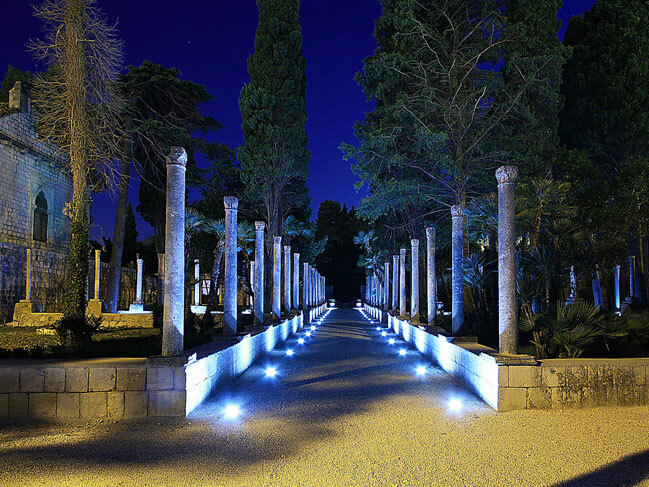 It is remarkable that the beautiful 2000m2 garden is preserved to the present day in its original condition, being a living proof of Dubrovnik landscape architecture during the Renaissance times with its high stone walls and original stone columns. 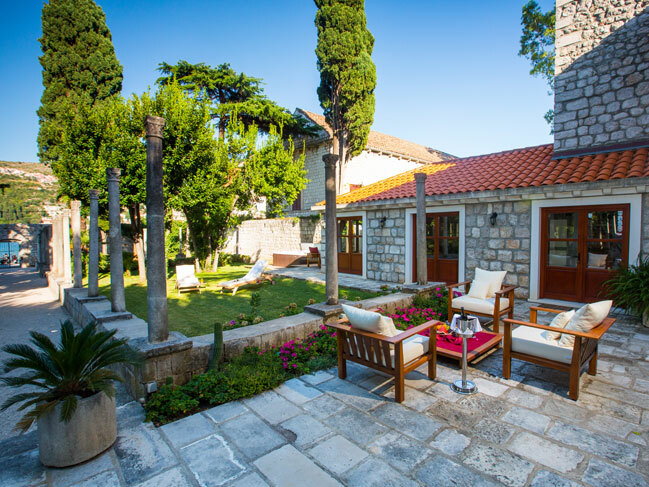 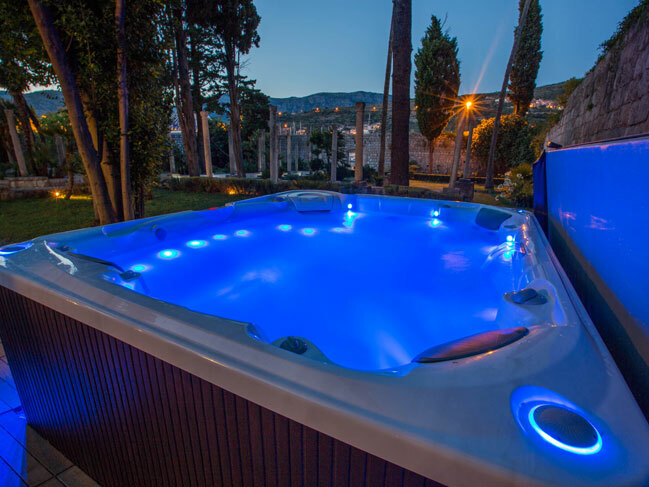 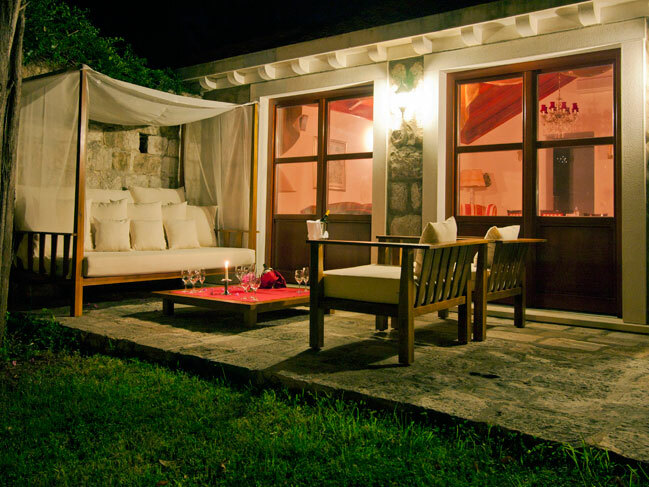 The luxury Mediterranean style villa in Dubrovnik is able to comfortably accommodate up to 6 persons. 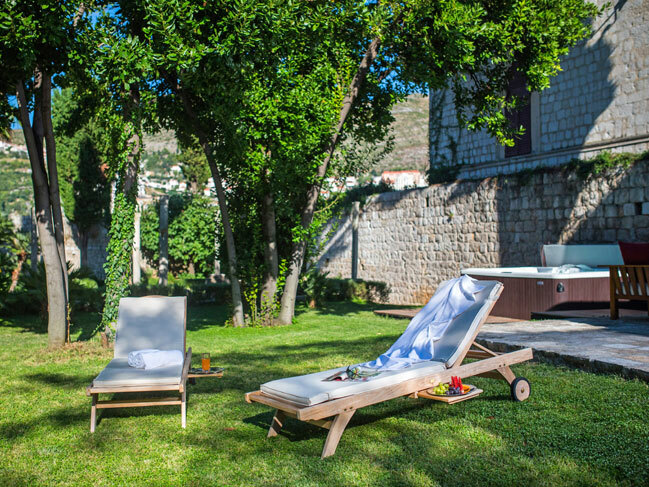 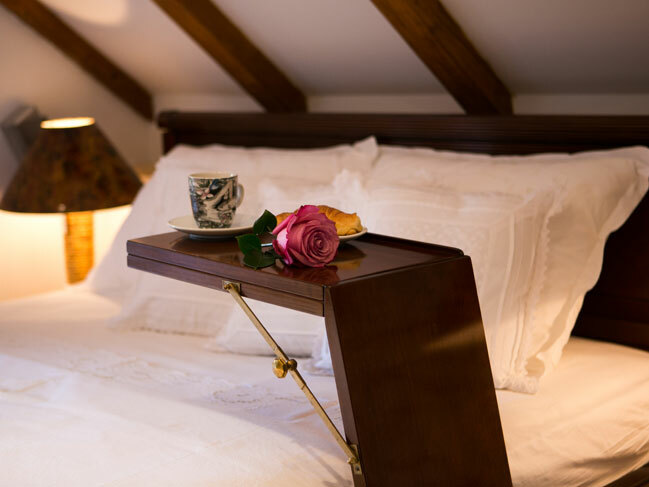 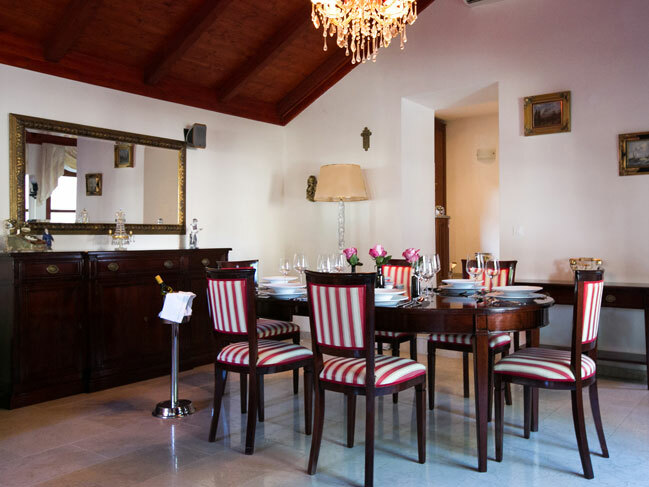 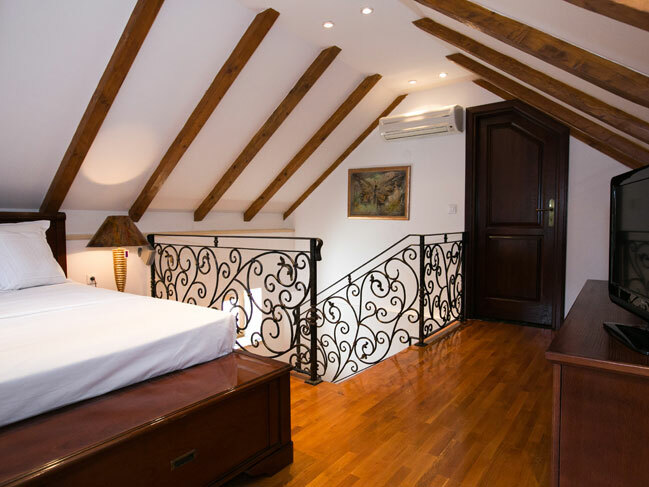 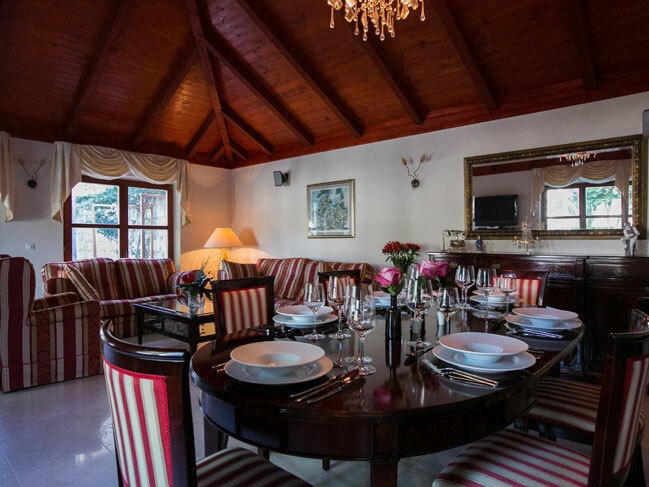 The design is a perfect blend of tradition and modern luxury, furnished with handmade "Prestige" furniture in classic Dubrovnik tones of Bordeaux and beige, paintings by famed Dubrovnik painters and other details, which give the property and its guests a special atmosphere. 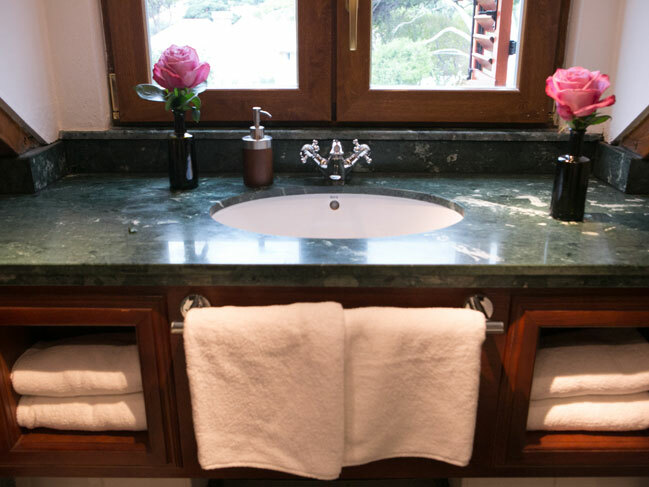 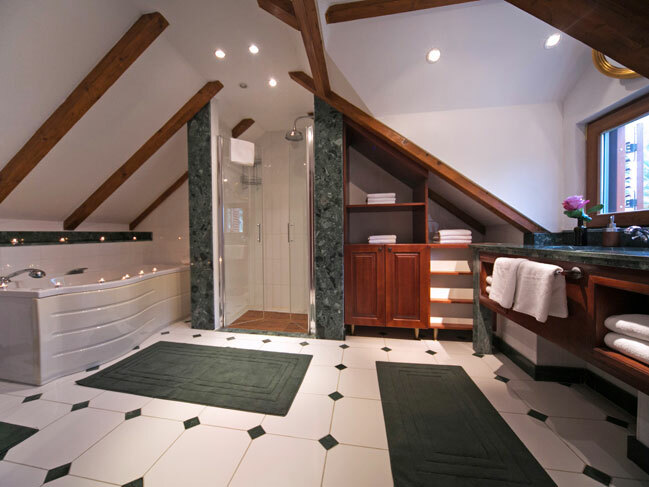 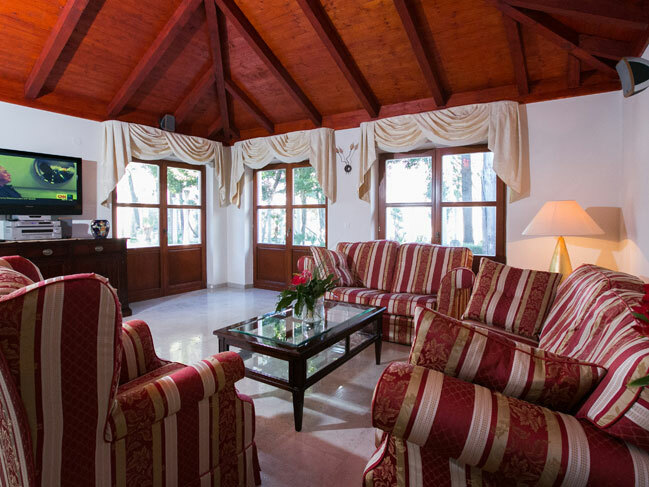 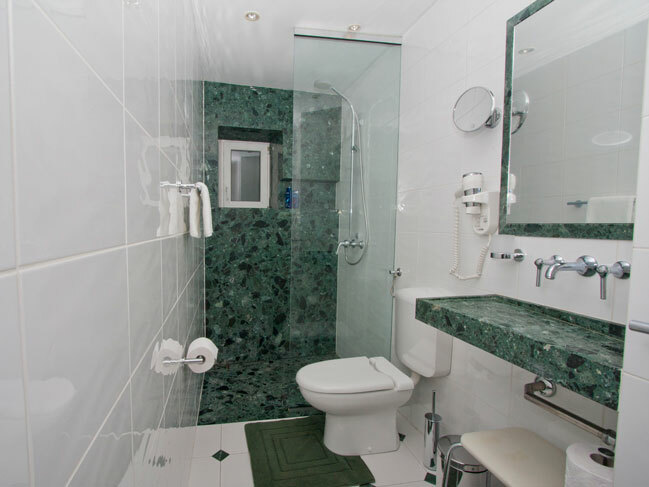 The ground floor of the villa contains a fully equipped kitchen, a bathroom with a shower and separate toilet. 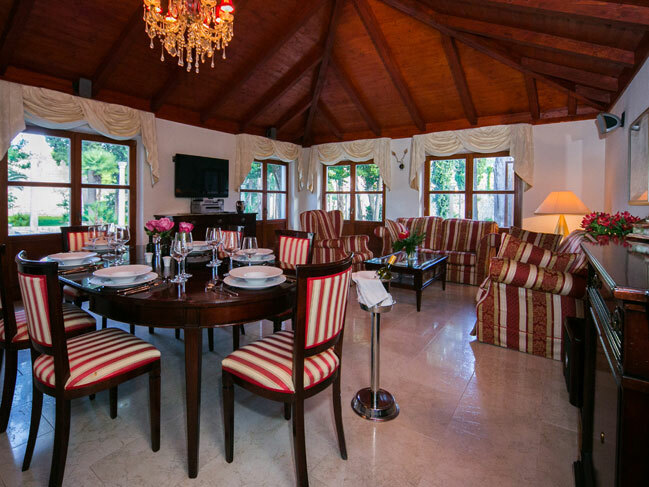 The commodious living room and dining area are located in the center of the villa with beautiful views of the garden and terrace. 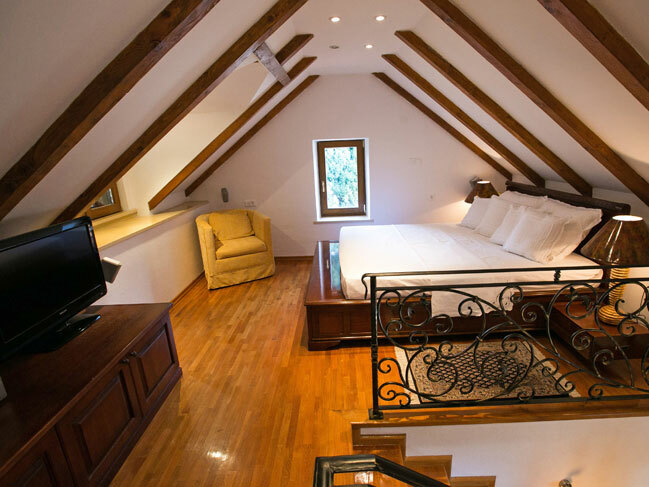 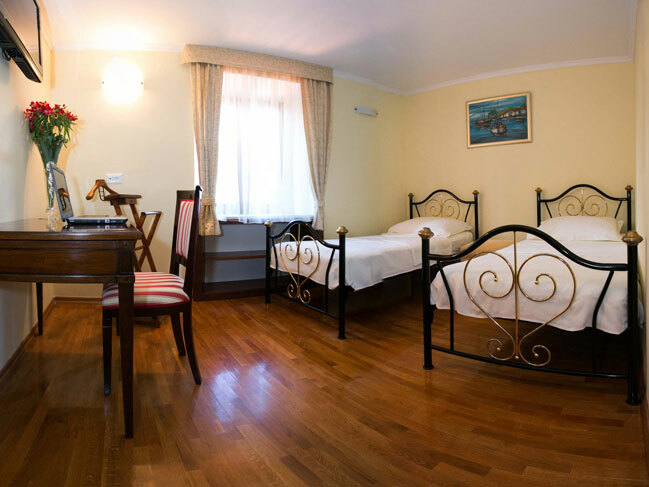 On the first floor, are two beautiful double bedrooms, while the second floor contains the most beautiful bedroom, with a view of the garden and sea, and its own luxuriously appointed bathroom, with shower and tub, which likewise offers an extraordinary view of the villa's gardens. 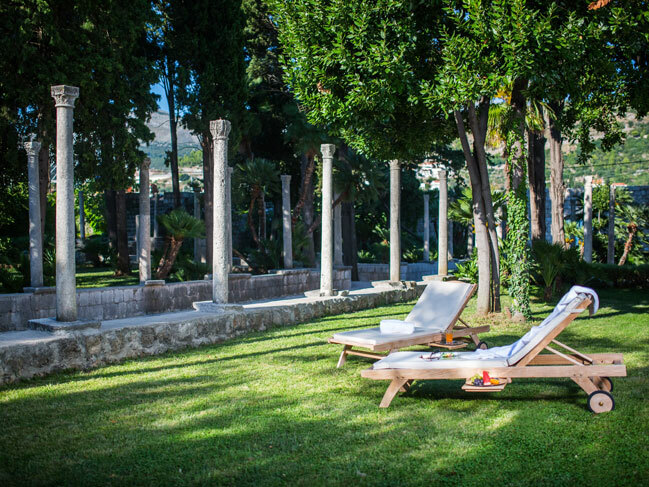 Three spacious terraces with outdoor furniture and chaise lounge chairs with views of the garden or sea. 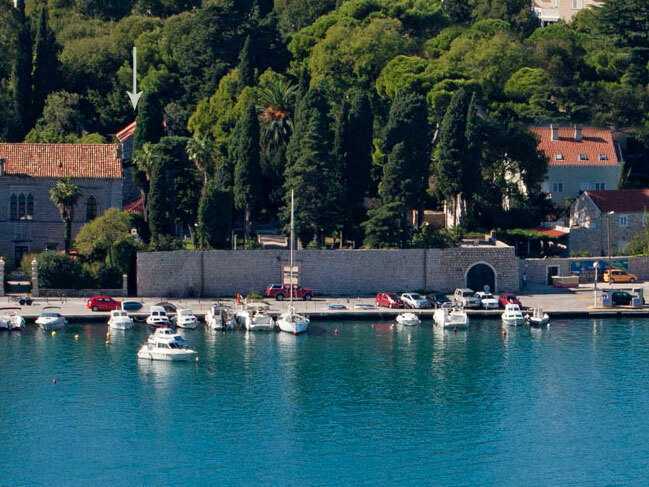 Parking for 2 vehicles is available on the property. 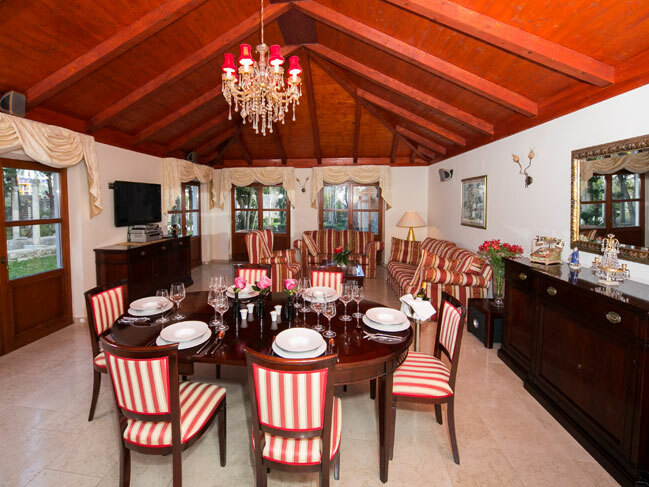 Unlimited WIFI service is available throughout the villa. 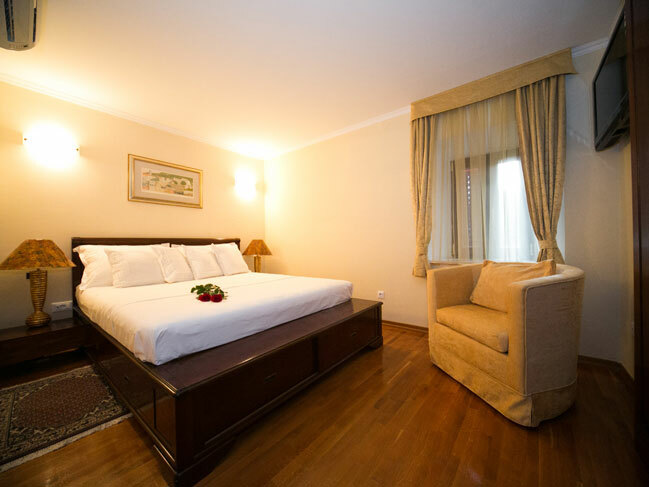 - Early check-in and late check-out in case of request is subject to availability and additional charges might apply. 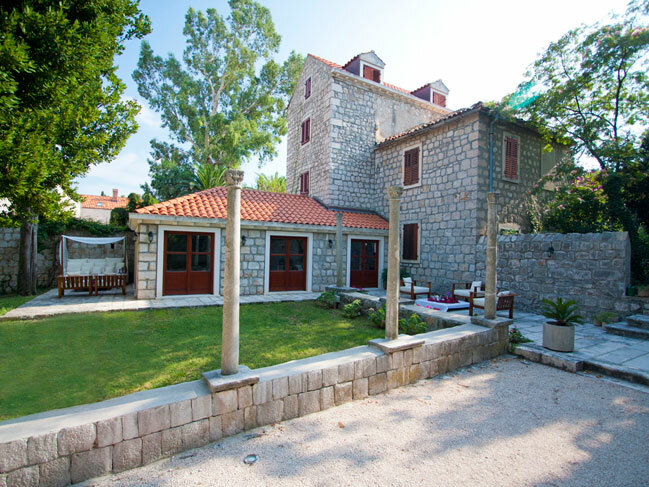 The luxury villa is located on the Lapad area, approx. 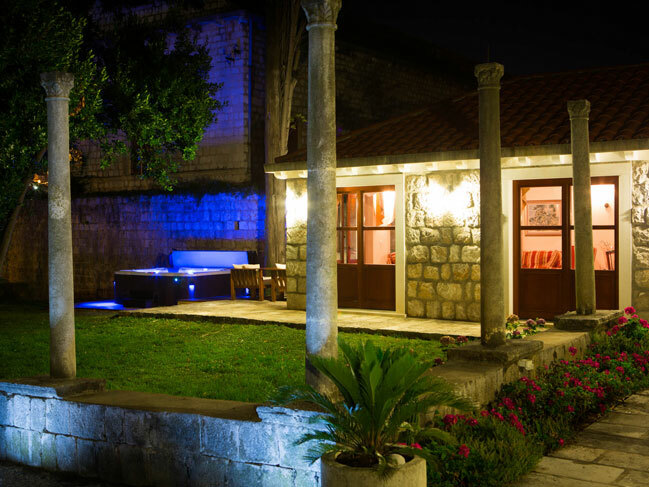 3 km from the historic Old Town of Dubrovnik. 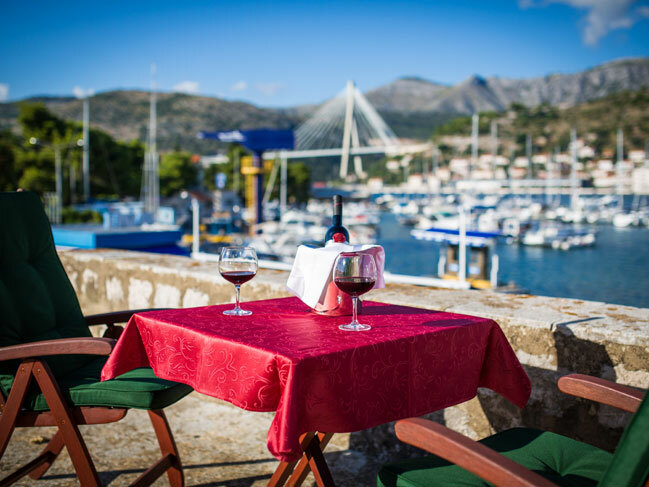 Nearby attractions (within 300 meters) include the Uvala Lapad walking promenade, a marina, several attractive beaches, many small family restaurants, café bars, and a shopping center. 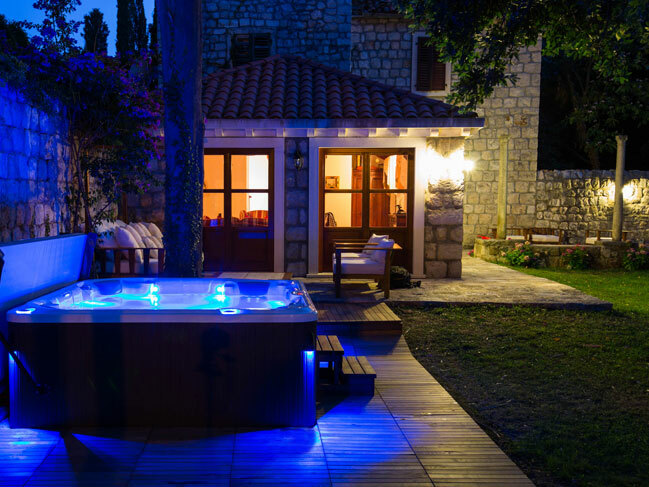 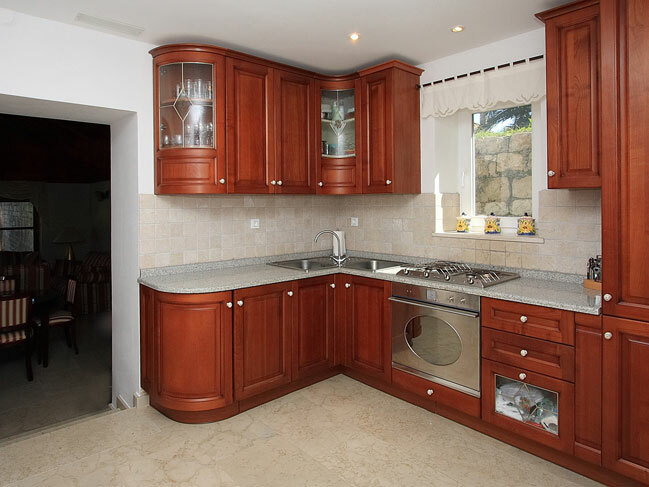 The property is located 22 kilometers from the Dubrovnik airport.